And everything else under the sun, by divine right. This is the Breakfast Taco. Look upon His glorious golden yolk. Gaze at His visage underneath its crown of laurels. Meet the esteemed members of His kingly retenue. Bask in His resplendent layers of warm yolk and cilantro chutney. See how luxuriously thick His tortilla robe is! How many motherfuckers you done seen with a tortilla robe like this? You ain't seen none with a tortilla robe like this. 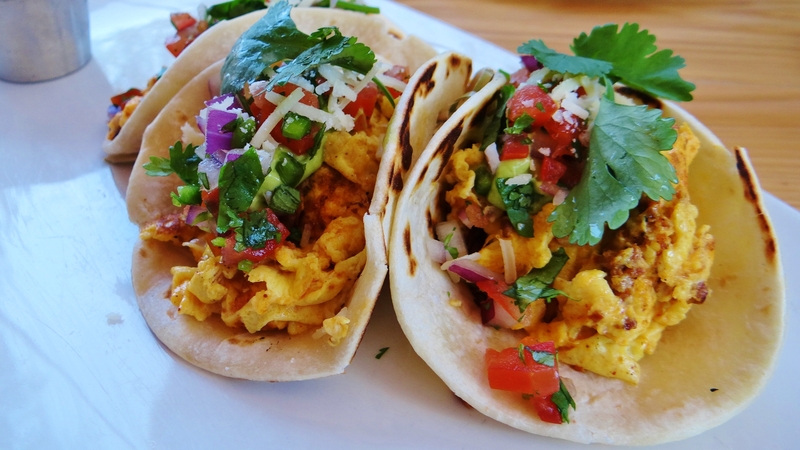 The folds of the Breakfast Taco's egg are more numerous than the rivers of the earth. The delicious oils from His cheeses and chorizo sparkle like 1,000 suns! His royal garments are accented with colorful gems from every corner of the earth. And His royal attendants are.... Spicy. Look upon the vast fields of His riches. The Breakfast Taco is anointed in succulent juices. and the multitudes of fish swimming the seas. Even the birds of the air fall into deep fat fryers beneath His feet! Behold! Bow before the eggscutcheon of His majesty. The legions of His armies defend His vast empire. His armor retains heat, protects His Lordship's body, and repels all spells. Look, the Emperor has no clothes. HE IS STILL DELICIOUS. ...of the 3-in-1 Holy Trinity of flavor. All hail Breakfast Taco, Supreme Ruler of Food!